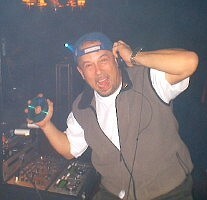 Chris Stewart has been spinning tunes at parties for over 25 years! 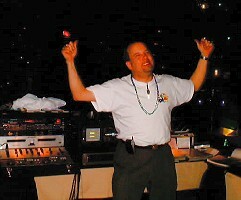 This passion for music and entertaining soon grew into a full time business, when in the early 80’s, Chris teamed up with another College Graduate to form a professional mobile disc jockey service called “Sound Decision”. They concentrated their core business towards the High School and College/University crowd by offering one of the largest sound and light shows available at the time. By 1985, they bought out a reputable competitor called Lighthouse and effectively quadrupled their business overnight. An opportunity became available to buy out his partner in 1988, and Chris started working the Corporate and Wedding markets extensively. “I saw that there was a lack of DJ talent in a field that was predominately marketed by bands” says Chris. 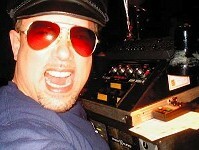 About this time Chris joined the CDJA (The Canadian Disc Jockey Association”. A “Not For Profit” organization that promotes disc jockey professionalism to the consumer, and maintains standards of excellence throughtout the industry. “This really allowed me to achieve my goals through networking, training, support and education. Taking Interactive Performance seminars, improving my presentation workshops, and basically learning all that I could to further my career. It’s about reading the crowd, enjoying your work, and being interactive with everyone.” Chris also helped open the C.D.J.A. Durham Region Chapter and served as Vice President for four years. 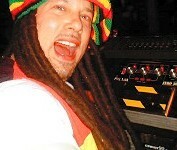 In the Mid 90’s the Internet explosion allowed Chris to market his services through his World Wide Web Site lighthousedj.com. “It was like a flood gate opening” as his web site was visited time and again and his business grew further. 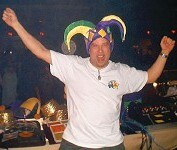 This allowed Chris to start expanding his services by hiring a team of DJ’s to better handle the needs of his clients. “Various packages are made available depending on the size, theme and budget of the function..” says Chris, “lighting, special effects and music all combined to make your event a success.” A consultation with his clients to further meet their needs is always included. Today Chris lives with his wife and two boys in Ajax and is busier than ever dividing his time between raising his family and entertaining the masses.